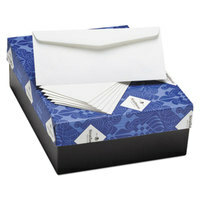 We carry several colors, sizes, and styles of envelopes. Some of our mailers and envelopes are available with windows to display the recipient's address, so you can avoid writing addresses or printing labels. You can also find that some of our mailing envelopes are self-sealing. Also make sure to check out other great items from Columbian, Geographics, Neenah, Premier, Quality Park, Sealed Air and Southworth. Our selection of envelopes and mailers allows you to send business documents reliably. With a wide selection of styles, you are sure to find what you need. Among these products, we also carry envelope moisteners to help you seal your important mail securely. For related products, check out our staplers, cards and stationery, and specialty paper. If you're wondering where to buy strathmore envelopes and mailers, we have a large selection of strathmore envelopes and mailers for sale at the lowest prices.